Joshua Howe: Are Cyclists Fair Game? 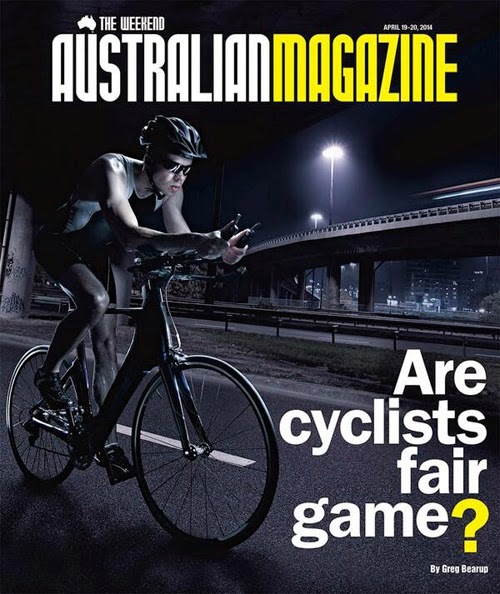 Above is the image of the Australian Magazine cover with the headline "Are cyclists fair game?" Despite being a pro-cycling article, many have commented that inflammatory headlines such as that continue to drive anger towards cyclists on the road.